A little while back we had a look at the PING i15 iron set, and really loved the blend of forgiveness and workability in a form factor that is pleasing to the eye of the better golfer. 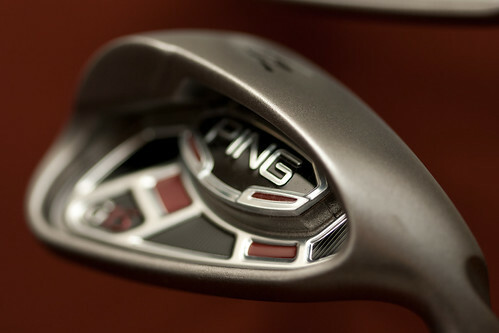 Today we are going to have a look at PING‘s latest entry in the Super Game Improvement arena, the G15 irons. The PING G series of irons has been well respected for a number of years now, I still vividly remember the first time I picked up a G5 3 iron, my first swing launched the ball into the stratosphere and seemed to carry on forever. I had a brief love affair with the G10 irons and over the past few months have been trying to decide if the latest G15 irons could kick the i15 irons out of my bag. As always, let’s start with a little background information about the clubs, then we will get on to the meat of the review. The technology of the G15 Iron provides the high-launching, maximum forgiveness attributes that bring consistency to your iron play.. The stainless steel ironâ€™s cavity design features a new Custom Tuning Port (CTP) which expands the perimeter weighting and increases the moment of inertia. Weight savings from a thinner face is re-positioned to the toe for added forgiveness on mis-hits and its wider sole produces a higher launch angle. Stronger lofts combine with a center of gravity located low and farther from the face to produce longer shots without sacrificing the higher trajectory required in a maximum forgiveness iron. There is no mistaking the G15 for blades, that is for sure. However, even with the wide sole and thicker top-line of a super game improvement iron, the G15 irons are very reassuring at address. As expected, the club face is slightly larger than that of the i15, especially noticeable in the heel to toe dimension at address. Personally, I like this in the longer irons, however, feel a little less confident when it comes to the shorter irons. Flip the club over and you’ll notice the wider sole. Part of the theory behind this design decision is to get the center of gravity lower and further back on the club. This helps launch the ball higher. So, if you are one who has a hard time getting some height out of your irons, you should be able to hit a high ball with these sticks! There is a nice finish to all PING clubs, the G15 irons are no exception. The almost rough finish to these cast irons is very cool in my book. The graphics on the back of the club face are interesting enough, but not overly distracting. 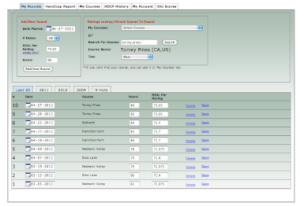 Very similar to the i15 graphics, and even the G10 line to some degree. You will not be seeing them while swinging the club, so the design of the backside of the club rarely influences my decision on a club purchase. Feel is where I have always found the PING G and I series lacking. The PING i15s, in my opinion, have made a nice step forward in the feel department over the i10 irons. The same can be said for the G15 irons. That being said, a well struck 8 iron is not going to feel as buttery smooth as a Mizuno blade. The flip side on that is when you thin a 5 iron in the early spring, you are not going to feel like you just smacked a cold cinder block. All that being said, in the super game improvement class of clubs, I think the G15 irons do an admirable job of preserving some level of feel. While you may not feel exactly where you may have mis-hit a shot, you will at least know you did. I cannot say this for all super game improvement clubs out in the market. Like any club out there, if you try hard enough, you can make these things slice and hook. Now, a gentle draw or fade? That will probably depend on your swing. I have a slight draw tendency, couple that with the offset and draw bias in these clubs, and I was generally hitting these with a few yards of right to left in them. Are they any more or less workable than the G10 irons? Not sure I can say there is a huge difference there. As I mentioned earlier, these clubs have pretty wide soles. Personally, I always seem to struggle with wide soles, especially when it comes to tight lies. I feel like it is a little more difficult to play these out of a wider variety of lies because of that sole. However, given that these things are so darn forgiving, I found myself in fewer situations that required a club with a little more ‘workability’. 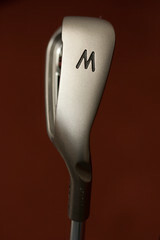 If you have trouble getting the ball elevated, the wider sole in this set of irons does help get the ball up quickly. When it comes to forgiveness, you will be hard pressed to find an iron that is this easy on your poor swings. Thin shots carried distance well, as did shots out on the toe and to some degree the heel as well. Sure, come in there with the face wide open, and this club won’t help youâ€¦but none of them will. I really loved hitting the long irons, especially when the ball was sitting up on a tee. Standing on the tee box of a long par 3 or a tight par 4, the 3 or 4 iron from this set are superb. As I generally find with most sets of irons, a well struck 3 iron is a pretty amazing feeling. With the G15 irons, I found it relatively easy to find the sweet spot off a tee and could get used to launching my golf ball way up into the sky, hurdling down the middle of the fairway. That being said, I felt like I gave up a little something in the control and accuracy department with the shorter irons. Now, this is just me, and I am looking for shorter irons I can work and flight. If you are just looking for maximum forgiveness, to hit the ball straight, and make the game of golf a heck of a lot easierâ€¦these may make more sense for you! Wait a minute, why do I want to be able to work the ball? But back to those long irons. Today, the longest iron I am playing in my bag is a 5 iron. Anything above that, I am using a hybrid. It is difficult to beat the versatility of a hybrid and the forgiveness. 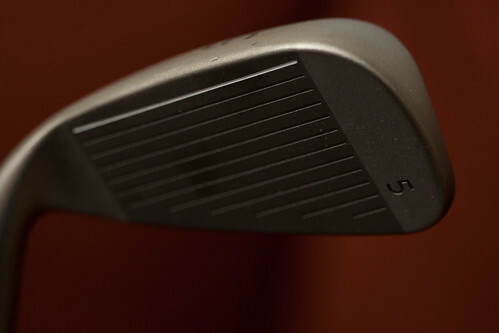 But, a few sweet swings with the G15 3 and 4 irons on the range, and it is hard for me not to want to put them in play. So, we will see, they may make another appearance in my bag soon. Should you be looking at the G15 irons? If you are currently playing something like the TaylorMade RAC OS2 irons and are looking for a little more feel and distance, this would be a nice step up. If you are coming from a set of blades, looking to make your Sundays more enjoyable, I would suggest stepping into something a little more intermediate, like the i15 irons. The great news is, PING irons generally seem to retain their value well. So, picking up a set of either of these irons for a month or two would not cost you an arm and a leg if you consider the resale value. Alex, it’s really going to be what’s better for you. With the Rapture it will also come down to price. The G15 is considerably less expensive, even when comparing used. Hi, I have been thing about the ping g15 and the i15, I play off a 22 handicap and have been playing for about 6 months seriously, I prefer the look of the i15 and hitting both 7 irons I was slightly better with the G but not massively, and hardly hit any bad shots with the I ether. My pro has talked me into going with g from 4 upto 7 and 8 through to pitch in i15. Have you any views?